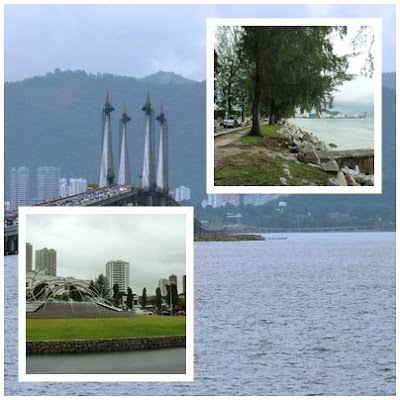 Sarawak across the seas is not normally associated with great dishes on this side of the world and we only remember some takeaways of birds' nest and dried sea cucumbers now and then. Our eastern brotherly State is more illustrious for its timber tycoons and homely visiting Taiwanese singers, orang utans and also for the nice demure Bidayu ladies found abundantly in some noisy Sunway PJ backstreet shoplots. No doubt we do come across some forgettable noodle shops propagating home-made Sarawak noodles of the konomee kind in certain food courts. Boring stuff you might say. pablopabla has fired-up BSG to reacquaint with this common beehun dish first introduced to him in Sibu ( Sarawak ) together with some great Fuzhou dishes those days. 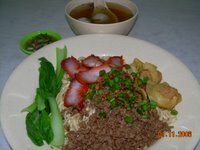 Plain Jane Sarawak home -made kono mee . Almost the same name but NO, not this one ! .............. on the other side of midnight. Fresh, little bit hot, limey, tonguey, noisy...& impressive. but make sure you are being served by the young sweet Sarawakian lady. ....and remember to crunch the beansprouts, they are loud. 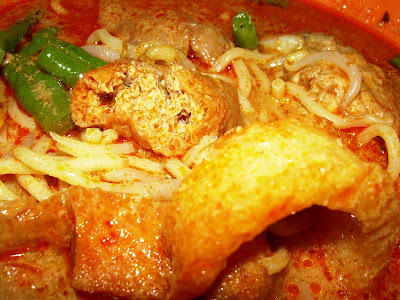 ..............................as a good laksa should be ! 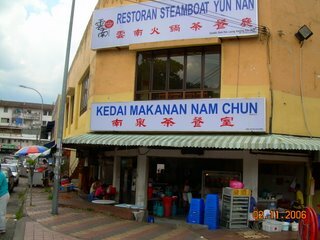 When you wan to take me there makan? u r looking happier & prettier ( after all those fine mediterranean food ) nex time plse kal me also ok ! I also eat fine dining 1 lol ! 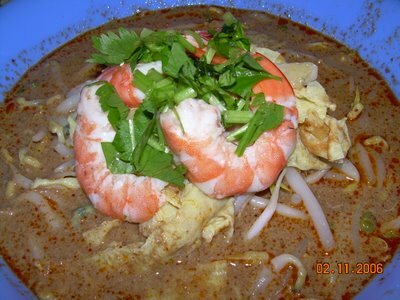 So, if not served by sweet Sarawakian lady the the laksa is not so nice alreay ah...? Great food enthusiast and glutton : You said it right! kono mee : Small typo error - should be kolo mee and it ROCKs! 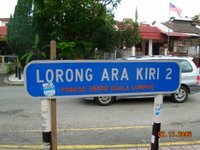 The real thing in Sarawak, of course. I haven't found any worthy of its name here in KL, yet. tonixe, O_o wow you are one fine-dining lover too!!!! Hohohohoho.... great to hear that! Let's hunt for more good food and share it together yeah!